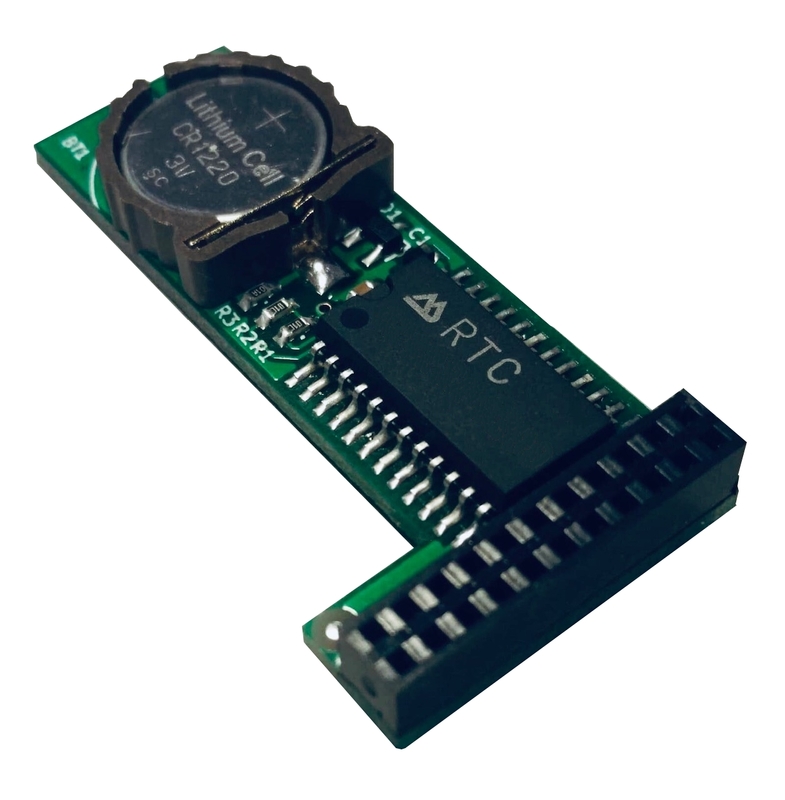 The Real Time Clock module's on-board battery ensures that the computer retains the correct date and time even when the system is powered down. Once this module is installed in your computer simply set the correct date and save it using the Time Preferences or SetClock command. After that the Workbench clock will always display the correct time. When files are created or amended on system drives the correct file date and time will be recorded. 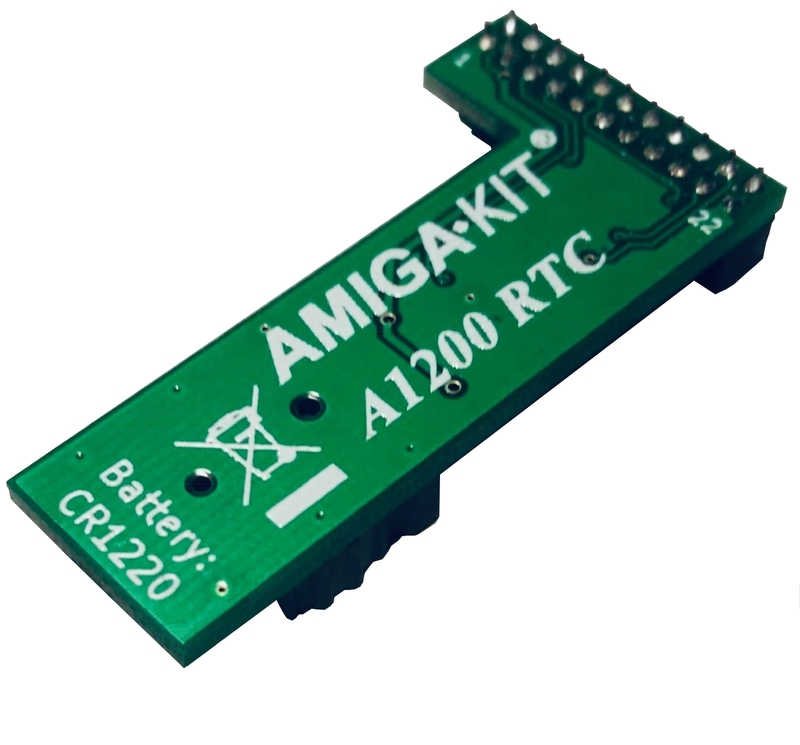 The module accepts standard CR1220 lithium coin-cell batteries. Coin-cell battery not included but can optionally can be configured below. 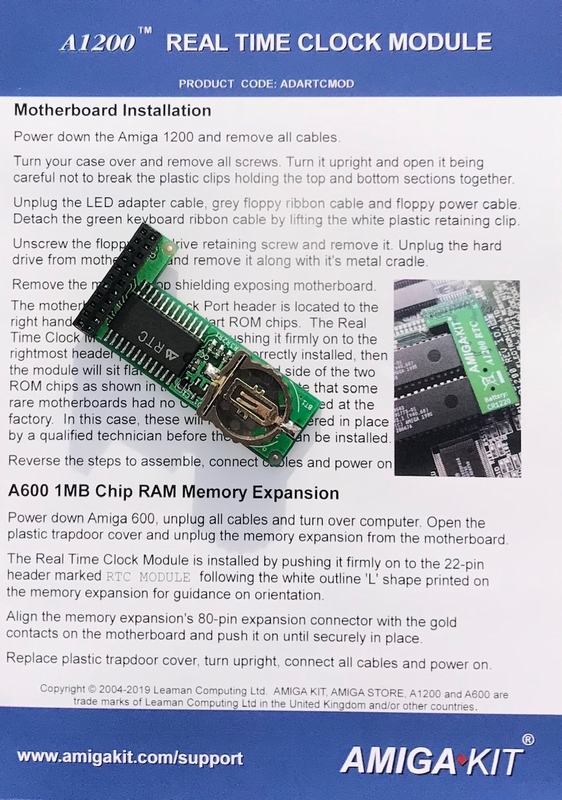 Installation is straight forward: the clock module plugs onto the header pins of a compatible Amiga 1200 motherboard, accelerator or RAM expansion. We can install this onto a compatible accelerator if you purchase them both at the same time and request in the order notes during Checkout. 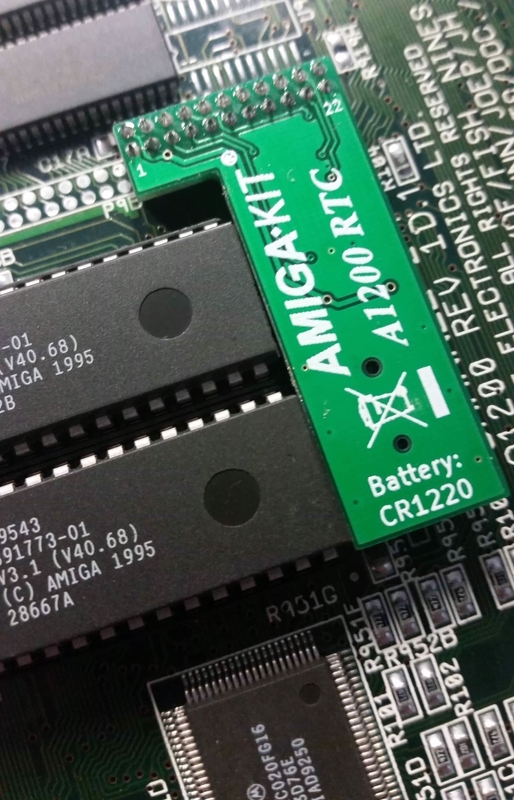 ¹ Amiga 1200 users only: the Clock Port on your Amiga 1200 motherboard should be populated with 22-pins on the right hand side of motherboard location marked P9B . Some rare motherboards had no pins populated so will require them to be added by a qualified technician in order to use this Real Time Clock Module.